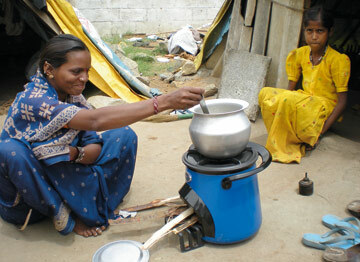 Last year at the end of December, India launched the National Biomass Cook stoves Initiative (NCI) to develop the next-generation cleaner biomass cook stoves and deploy them in all Indian households that currently use traditional cook stoves. The initiative has set itself the lofty aim of providing cleaner energy services like clean sources of energy such as LPG but using the same solid biomass fuels commonly used today. This initiative by the Ministry of New and Renewable Energy has been envisaged to be structured differently from the earlier National Program on Improved Chulhas, although it builds on the several successes of that program while also drawing lessons from the experience gained from its implementation. The socio-economic and health implications of this form and scale of energy use are enormous. The starting point of the current exercise is the user. The solution on offer should, first and foremost, be easy to use and maintain and conform to local cooking habits across the country. Its adoption must make economic sense to the household. The program is conceived not as a handout to poorer households, but rather as an economically sustainable business solution. This new initiative is also based on the recognition that that cook stove technology has improved considerably in the past few years. But further advances are still possible and, indeed essential. The aim is to achieve quality of energy services from cook stoves comparable to that from other clean energy sources such as LPG. The approach that is being envisaged by this initiative focuses on all elements of the innovation chain, not only emphasizing development of cleaner combustion units and improved biomass-processing technologies, but also focusing on issues such as innovative delivery models. By partnering with academia, the private sector and non-governmental organizations, the program draws upon the strengths of these various groups. Such an approach, hopefully, will increase the likelihood of success of this initiative and also allow the development of technologies and delivery models that would find applications in other parts of the developing world. The program, therefore, has the potential to serve as a flagship model for how to meet sustainable development and climate goals simultaneously. And this is exactly the kind of initiative that the government should be emphasizing in the global climate arena—one that puts sustainable development centre stage instead of focusing merely on “targets and timetables”, as our recent constructive position has done. This promising new cook stove initiative, therefore, must be seen not only as an initiative that can help improve access to clean and high-quality energy services for the poor and the vulnerable, but also contribute to climate mitigation. Did we know that a company could make a bigger profit by focusing on the market share consisting of people who earn less than $2 per day? Did we realize that the world’s fastest growing market is at the bottom and not the top of the fortune pyramid? Were we aware that nine countries including China, India, Brazil, Mexico, Russia, Indonesia, Turkey, South Africa, and Thailand – collectively have a GDP of $12.5 trillion, larger than the GDP of Japan, Germany, France, Italy, and the UK combined? The answer is that we hadn’t and we didn’t, until UMich’s professor C.K. 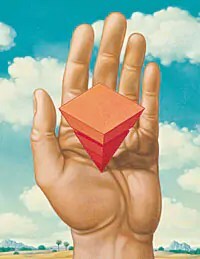 Prahalad came out with his work “The Fortune at the Bottom of Pyramid”. “Why is it that with all our technology, managerial know-how, and investment capacity, we are unable to make even a minor contribution to the problem of pervasive global poverty and disenfranchisement?” This profound question hits you only to leave you answerless. In 2002, The Fortune at the Bottom of the Pyramid ushered in a new level of consciousness in international business strategy. Although the idea of doing good and doing well was already well established, the anecdotal case by C.K. Prahalad and Stuart Hart that the four billion people each living on less than US$2 a day (the bottom of the economic pyramid or simply “BoP”) held the potential for immense profit captured popular imagination. Multi-national companies (MNCs) around the world launched initiatives to adapt and market their products and services to the world’s poor. ACARA has aptly understood it and is trying to identify sustainable business opportunities based on above and at the same time being environmentally conscious in its approach. I. Securing Internal Support: How can companies gather data affordably in order to make a compelling business case and develop accurate projections? II. Testing on a Budget: How can we run pilot programs at an affordable cost with low-margin business models? III. Patience: How can we balance corporate pressures for profitability with commitments for impact in the community? IV. The challenge of growth: How can we scale while adapting the product composition and its delivery mechanisms to the needs of each local community? The assumption that the poor need to seen as a market, but one different from the conventional perception of a market, has some immediate consequences – all of the traditional business concepts are applicable but each and every one of those concepts needs to be applied from a distinct perspective. What results is a practical example of the application of innovative thinking and innovation to an intractable problem – How to cater to the more than 4-billion humans who do not form part of the target market of the organizations that are driven by conventional assumptions about products, services, value and needs. Professor Prahalad demonstrated that the process of making products more affordable to the world’s poor can provide substantial returns to create real partnerships and innovations for established companies. What is required is to undertake an analysis of the current BOP paradigm to support the development of a sustainable, participatory multi-stakeholder approach. To a great extent, financially sustainable and integrated BoP business lines are the pinnacle of truly sustainable and strategic Corporate Social Responsibility. Answering the questions at the bottom of the pyramid may be the key to ushering in a new era of capitalism which generates profit, offers wealth-creation opportunities for the poor, spreads products to reduce sickness and spreads education around the world– welcoming billions of people to participate in a more inclusive, sustainable global economy. The thousands of little fires lit by corporations, entrepreneurs, academics, governments and non-profits may yet become a blaze that will change the world.